Jose-Maria Fernandez, M.B.A., M.F., is managing partner at Altamar, an investment management firm, where he focuses on the design, fundraising, and management of portfolios of investments in companies. In this position, he is also member of the investment committee of Alta Life Sciences, a biotech venture fund with a Spanish and European focus launched in 2016. Prior to his current position, Fernandez was the director general of the Treasury at Spain’s Ministry of Economy and Competitiveness. In this position, he was the treasurer and chief financial officer of Spain. His responsibilities included the issuance and management of Spain’s public debt, its risk and liability management, the kingdom’s treasury and cash operations, the financing of Spain’s regional public issuers, the treasury’s IT and resources management, and a multiplicity of other public sector related financing programs. Fernandez was a member of the Board of Directors of the European Investment Bank from 2014 through 2016 and a board member of CESCE (Spain’s export credit agency). In this position, he evaluated and approved hundreds of investments and financing operations in Europe and across the globe. Between 2010 and 2013, Fernandez worked at MIT’s Laboratory for Financial Engineering developing securitization models for biotech R&D portfolios and for Kendall Rho LLC, a finance innovation firm. In addition to this, he has substantial experience in capital markets. Prior to this, he ran the Debt Capital Markets Global Origination department for sovereigns, supranational and development agencies at Credit Agricole Corporate and Investment Bank. He worked in, and led for three years, the Funding and Debt Management Department for the Spanish Treasury. 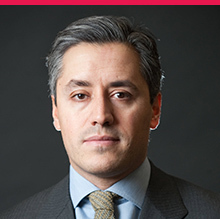 Fernandez has also worked for the World Bank as a securities and debt capital markets expert, consulting for emerging country governments on topics related to public debt issuance and financial management strategy. Fernandez holds an M.B.A. degree from MIT Sloan (Sloan Fellows Program in Innovation and Global Leadership), a master’s in finance degree from the London Business School, a master’s in portfolio management degree from I.E.B., and bachelor’s degree in economics and business from CUNEF (Madrid). He was appointed state economist and trade expert of the Spanish General Government in 1997. Ian Gust, A.O., M.D., is a medical virologist with a distinguished career in public health, including involvement in the development of vaccines against hepatitis A and human papillomavirus infection and membership of the International Task Force for hepatitis B immunization, which accelerated the introduction of hepatitis B vaccine into routine immunization programs. Gust has been involved in the development of several licensed vaccines and international efforts to improve vaccine coverage. He is the author of three books and more than 300 papers, holds several patents, and has received major awards for his work. He founded and was the founding director of the Burnet Institute, which now employs 600 people in more than 30 counties and is the former R&D director for CSL, a major pharmaceutical company that produces a range of biological products in Europe, the United States, and Australia. 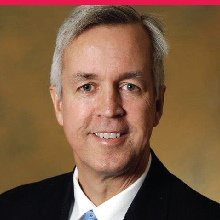 Kenneth Holroyd, M.D., M.B.A., is vice president for Technology Transfer at Vanderbilt University Medical Center, medical director for the Vanderbilt University Center for Technology Transfer and Commercialization, and an associate professor of Anesthesiology and Medicine. He has served as the Vanderbilt representative on the board of directors for Cumberland Emerging Technologies, Informatics Corporation of America, DigiChart, Acuitec, Friends in Global Health, and the Tennessee Technology Development Corporation. Before joining Vanderbilt University in 2005, Holroyd was chief operating officer with former NASDAQ company Genaera Pharmaceuticals. He received his medical training at Johns Hopkins University and the National Institutes of Health. 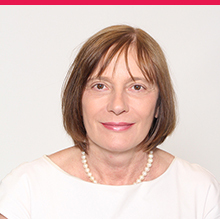 Marie-Paule Kieny, Ph.D., is currently director of research at Inserm (Institut national de la santé et de la recherche médicale) in Paris, where she assists the president on international cooperation. Until June 2017, on a leave of absence from Inserm, she served as the Assistant Director-General for Health Systems and Innovation at the World Health Organization. Kieny also directed the WHO Initiative for Vaccine Research from 2001 to 2010. Key successes under her leadership roles at WHO include developing and licensing new vaccines against bacterial meningitis, addressing global supply of pandemic influenza vaccine especially in developing countries through technology transfer and manufacturing, and developing vaccines against poverty-related diseases. Such initiatives are continuing priorities of Kieny. Before joining WHO, Kieny held top research positions in the public and private sectors in France which included assistant scientific director of Transgene S.A. from 1981 to 1988 and director of research and head of the Hepatitis C Virus Molecular Virology Group at the Institute of Virology at INSERM from 1999 to 2000. Kieny received her Ph.D. in microbiology (1980) and university diploma in economics from the University of Montpelier; Diplôme d’Habilitation à Diriger des Recherches from the University of Strasbourg in 1995. She has published over 350 articles and reviews, mainly in the areas of infectious diseases, immunology, vaccinology and health systems. Kieny has been awarded the title of Chevalier dans l’Ordre National de la Légion d’honneur (Knight in the National Order of the Legion of Honour, France) in 2016; Chevalier de l’Ordre National du Mérite, au titre du Ministère de la Recherche (Knight of the National Order of Merit, under the Ministry of Research, France) in 2000; the Prix Génération 2000-Impact Médecin in 1994; and the Prix de l’Innovation Rhône-Poulenc in 1991. Wayne Koff, Ph.D., is the founding president and CEO of the Human Vaccines Project (HVP; 2014-present), a public-private partnership with the goal of decoding the human immune system to accelerate development of vaccines and immunotherapies for major infectious diseases and cancers. Prior to joining the HVP, Koff served as chief scientific officer and senior vice president of research and development at the International AIDS Vaccine Initiative (IAVI) in New York City (1999-2016), leading IAVI’s research and development program. At IAVI, his accomplishments included developing multiple HIV vaccines through clinical trials; establishing state-of-the-art laboratories in the U.S., Europe, India and Africa; conducting the first HIV vaccine trials in India, Kenya and Rwanda; establishing the Neutralizing Antibody Consortium, which identified new, broad and potent neutralizing antibodies against HIV that led to the discovery of novel targets for vaccine design; and establishing a clinical research network in Africa that has conducted seminal studies on HIV pathogenesis, incidence and acute infection. Koff served as vice president for vaccine research and development at United Biomedical, Inc. (UBI), where he was responsible for its vaccine R&D program (1992-1998). During his tenure at UBI, the company conducted the first AIDS vaccine clinical trials in the developing countries of the People’s Republic of China, Thailand and Brazil. He served as chief of the Vaccine Research and Development Branch, Division of AIDS, at the National Institute of Allergy and Infectious Diseases (NIAID), where he led the team that established the preclinical and clinical AIDS vaccine development programs for the National Institutes of Health (1988-1992). Koff received his B.A. from Washington University (Missouri) and his Ph.D. from Baylor College of Medicine (Texas). Koff published more than 100 scientific papers and edited eight books on vaccine development. An internationally recognized viral immunologist in the field of AIDS vaccine research and development, he has been twice honored by the U.S. Department of Health and Human Services with the Special Act of Service Award for developing innovative strategies for accelerating global efforts in AIDS vaccine development. Douglas Richman, M.D., is one of the pioneers in HIV research. His laboratory was the first to identify HIV drug resistance. 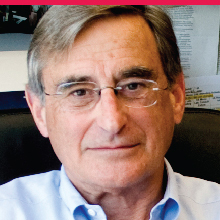 Richman is distinguished professor of pathology and medicine at the University of California, San Diego (UCSD), and the Florence Seeley Riford Chair in AIDS Research. He is director of the Center for AIDS Research at UCSD, Director of the UCSD AIDS Research Institute and physician at the VA San Diego Healthcare System. 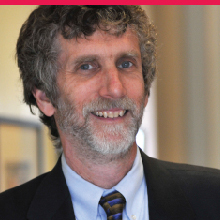 In 2015, Richman received the A. Brad Truax Award for his extraordinary achievements in HIV/AIDS research. 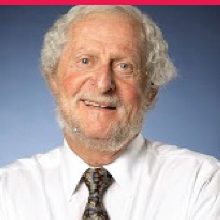 Richman trained as an infectious disease physician and medical virologist at Stanford University, the National Institutes of Health, and Harvard University before joining the faculty at UCSD in 1976. After Richman’s laboratory identified HIV drug resistance, the lab joined two others in identifying latently infected CD4 cells as the obstacle to eradication of HIV with potent antiretroviral therapy. His laboratory also described the dynamics of the neutralizing antibody response to HIV and the rapidity of viral escape and evolution in response to this selective pressure. Richman’s laboratory currently focuses on the natural history and molecular pathogenesis of HIV in a cohort of acutely infected patients. These studies include the cell mediated and neutralizing antibody immune responses to HIV and the viral escape and evolution in response to these. Another area of investigation includes the many virological and host determinants of HIV transmission; this knowledge is central for the development of an effective HIV vaccine. Additional virologic investigations include studies of HIV drug resistance and the pathogenetic consequences of virus replication in anatomic compartments. The top priority of Richman’s laboratory is the latent HIV reservoir and strategies to achieve eradication of this reservoir. Of particular interest is the development of assays to measure this reservoir in various compartments of the body and in the various subsets of CD4 lymphocytes in order to characterize the targets of intervention strategies and to measure the impact of these interventions reliably. Stanley Plotkin, M.D., is emeritus professor at the University of Pennsylvania and an adjunct professor at Johns Hopkins University. Until 1991, he was professor of pediatrics and microbiology at the University of Pennsylvania, professor of virology at the Wistar Institute and at the same time, director of infectious diseases and senior physician at the Children’s Hospital of Philadelphia (CHOP). He maintained laboratories at both CHOP and Wistar. 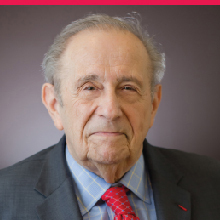 In 1991, Plotkin left the university to join vaccine manufacturer Pasteur-Mérieux-Connaught (now called Sanofi Pasteur), where for seven years he was medical and scientific director, based at Marnes-la-Coquette, outside Paris. He also has been a consultant to vaccine manufacturers, biotechnology companies and nonprofit research organizations as principal of Vaxconsult. Plotkin attended New York University, where he received a B.A. degree, and then the State University of New York Medical School, where he received an M.D. degree in 1956. His subsequent career included internship at Cleveland Metropolitan General Hospital, residency in pediatrics at the Children’s Hospital of Philadelphia and the Hospital for Sick Children in London and three years in the Epidemic Intelligence Service of the CDC. He has been chairman of the Infectious Diseases Committee and the AIDS Task Force of the American Academy of Pediatrics, liaison member of the Advisory Committee on Immunization Practices and chairman of the Microbiology and Infectious Diseases Research Committee of the National Institutes of Health. Plotkin received the Bruce Medal in Preventive Medicine of the American College of Physicians, the Distinguished Physician Award of the Pediatric Infectious Diseases Society, the Clinical Virology Award of the Pan American Society for Clinical Virology, the Richard Day Master Teacher in Pediatrics Award of the Alumni Association of New York Downstate Medical College, and the Marshall Award of the European Society for Pediatric Infectious Diseases. In June 1998, he received the French Legion of Honor Medal; in June 2001, the Distinguished Alumnus Award of the Children’s Hospital of Philadelphia; in September 2006, the gold medal from the same hospital; the Sabin Gold Medal in May 2002; in September 2004, the Fleming (Bristol) Award of the Infectious Diseases Society of America; in May 2007, the medal of the Fondation Mérieux; in 2009, the Finland Award of the National Foundation for Infectious Diseases and the Hilleman Award of the American Society for Microbiology; and in 2013, the Career Achievement Award from the Association for Clinical and Translational Medicine, as well as the Caspar Wistar Medal of the Wistar Institute of Biological Research. In 2014, Plotkin received the Charles Mérieux Award of the National Foundation for Infectious Diseases and the Sheikh Hamdan (Dubai) Award for Medical Sciences. He was elected to the Institute of Medicine of the National Academy of Sciences in 2005, to the French Academy of Medicine in 2007, to the French Academy of Pharmacy in 2013 and to the Thai Pediatric Infectious Diseases Society in 2015. Plotkin is a fellow of the Infectious Diseases Society of America, the Pediatric Infectious Diseases Society, the International Society for Vaccines, the American Academy of Pediatrics and the International Society for Vaccines. He holds honorary doctoral degrees from the University of Rouen (France) and the Complutense University of Madrid (Spain). Named lectures in his honor have been established at the Pediatric Academic Societies annual meeting, at the International Advanced Vaccinology Course (Annecy, France), and at the DNA Vaccines Society. A professorship in his name was established at the Children’s Hospital of Philadelphia. His bibliography includes more than 700 articles and he has edited several books including the standard textbook on vaccines, now in its 6th edition. He developed the rubella vaccine now in standard use throughout the world, is co-developer of the pentavalent rotavirus vaccine and has worked extensively on the development and application of other vaccines including anthrax, oral polio, rabies, varicella and cytomegalovirus. Moncef Slaoui, Ph.D., specializes in the research and development of vaccines and Pharmaceuticals and was recognized as one of Fortune’s “50 Greatest World Leaders” in 2016 for his work in under-researched diseases common in the developing world. Slaoui’s career spanned 29 years at GlaxoSmithKline (GSK) and was active on its board of directors between May of 2006 and March 2017. He was chairman of global research and development (R&D) between 2006 and 2014, where he led an overhaul of the company’s pharmaceutical R&D and was also responsible for commercial pursuits such as new product launches and life cycle management. Slaoui was also chairman of GSK’s vaccine division from 2009 until his retirement from the company in June 2017. Early in his career while working in vaccines R&D at GSK, he was instrumental in the development of the vaccines Rotarix®, to prevent infantile rotavirus gastroenteritis; Synflorix®, to prevent pneumococcal disease; Cervarix®, to prevent cervical cancer, Mosquirix™ to prevent plasmodium malaria disease and Shingrix™ to prevent shingles. 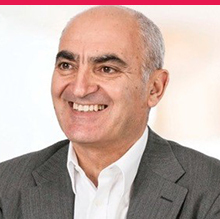 After his retirement from GSK, Slaoui joined Medicxi Life Sciences venture capital firm as a partner; he also took on a number of independent board positions including chairman of the board of Galvani, a Bioelectronics focused company jointly owned by GSK and Verily life sciences, and independent board director of Moderna, Sutrovax, and Artizan Biotechnology companies. Slaoui earned a Ph.D. in molecular biology and immunology from the Université Libre de Bruxelles in Belgium, completed postdoctoral studies at Harvard Medical School and Tufts University School of Medicine, Boston, and was a professor of immunology at the University of Mons, Belgium.